FAYETTEVILLE, Ark. – The Arkansas men’s track & field team look to follow up their solid 2018 outing with an exceptional 2019 campaign set to tackle a loaded schedule that features 18 days of home competition in the Track Capital of the World. The Razorbacks hosted 14 days of competition in 2018, the most among power-5 conference schools. Among those 10 Fayetteville-based meets is the return of the best regular season meet in the country, the second annual National Relay Championships, scheduled for April 26-27 at John McDonnell Field. Last year’s relays propelled teams to exceptional finishes at the NCAA meet. On the women’s side, nine of 14 teams at the National Relay Championships finished in the top 25 at the NCAA Outdoor Championships, while on the men’s side, eight of 16 teams at the National Relay Championships finished in the top 25. Modeled after the flourishing, biennial IAAF World Relays, the National Relay Championships aims to invoke a spirited rivalry among the most competitive and historical college programs in track and field in advance of the NCAA Outdoor Track and Field Championships. 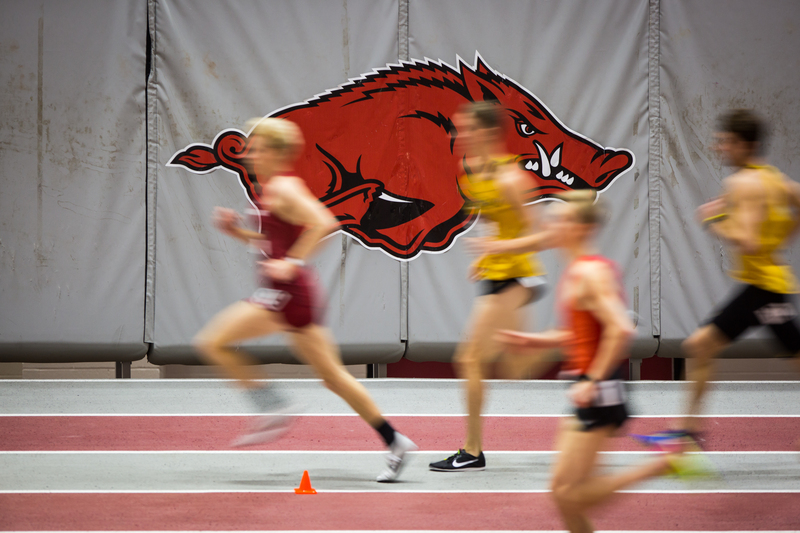 Prior to the National Relay Championships, Arkansas will host five meets during the indoor season, culminating with the SEC Indoor Championships Feb. 23-24 at the Randall Tyson Track Center. For Arkansas, this will be the ninth time hosting at Randal Tyson Track Center since 2000 (2016, 2013, 2011, 2010, 2008, 2005, 2002, 2000) with Arkansas’ men taking home the title on all eight occasions. Following the SEC Indoor Championships, Arkansas will then focus its attention on adding to its NCAA trophy collection (41), traveling to Birmingham, Ala. March 8-9 for the NCAA Indoor Track & Field Championships. Razorback Invitational – The ONLY national televised regular season college track meet in the country. Tyson Invitational – A meet which has seen some of the best indoor marks in the world. SEC Indoor Championships – Ninth time in program history to host the SEC Indoor meet. The outdoor season will feature an additional five home meets that once again will climax with the SEC Championships. Always in pursuit of a Triple Crown, Arkansas will open the outdoor championships season in the hunt for their 20th SEC outdoor title May 9-11 at home in Fayetteville. The SEC meet returns to John McDonnell field for the third time in history (1994, 2006), with Arkansas’ men walking away the winner both times. Following a stop at the NCAA West Preliminary Round (May 23-25) in Sacramento, California, Bucknam’s squad will close out the year going for more team gold at the NCAA Outdoor Track and Field Championships in Austin, Texas (June 5-8). National Relay Championships – The best regular season meet in the country returns to Fayetteville. SEC Outdoor Championships – Third time in program history to host the SEC Outdoor meet. Friday-Saturday Feb. 1-2 New Mexico Classic Albuquerque, N.M.
Friday-Saturday Mar. 8-9 NCAA Indoor Championships Birmingham, Ala.
Friday-Saturday Mar. 29-30 Stanford Invitational Stanford, Calif.
Thursday-Saturday Apr. 18-20 Bryan Clay Invitational Azusa, Calif.
Mt. SAC Invitational Los Angeles, Calif.
Thursday-Saturday May 23-25 NCAA West Preliminary Sacramento, Calif.
For more information on Arkansas track and field including in-meet updates, follow @RazorbackTF on Twitter.